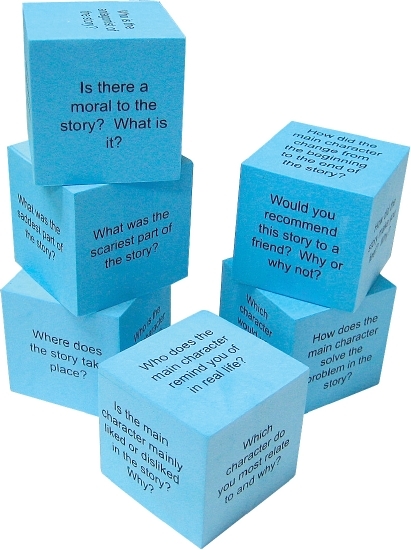 Lightweight, soft, quiet and washable cubes with questions that assess comprehension skills regarding types of text and reading strategies. Six foam cubes, each 51 mm with 36 different questions, in a resealable storage bag. Primary.